EMOTIONS ran high among a number of Bellingen residents as three large Camphor Laurels, over 100 years old, were cut down. Police were on the scene and barricades were set up around the trees as the logging commenced on Sunday morning. However, in dramatic scenes a number of protestors managed to find their way around the barricades, leading to their arrest. Despite being declared as a weed the Camphor Laurels on Church St became a staple and familiar feature in the heart of the town, prompting many protests in the lead up to the felling. The trees have been removed as part of Bellingen Shire Council's Main Street Masterplan. 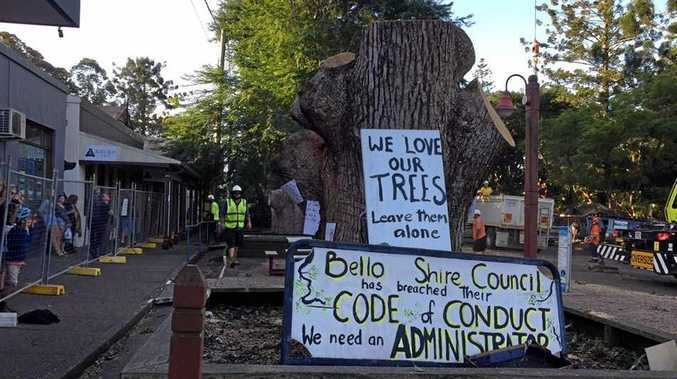 The removal of the Camphor Laurel trees has been shrouded with controversy over the past few years, but Bellingen Shire Council said in a recent statement that damage to infrastructure and private property, and the lack of disability access caused by the trees could not be ignored. 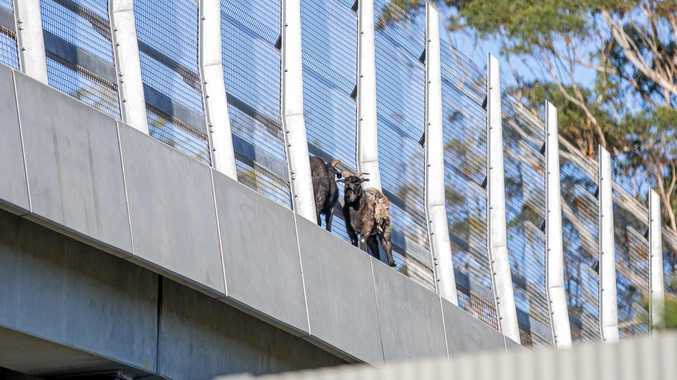 "These works focus on upgrading the public space to deliver improved pedestrian safety and enhancing access and mobility through the provision of new footpath paving, providing ramps and crossings with tactile markers and easy to negotiate spaces," Mayor Cr Dominic King said. The removal of the trees also makes way for the installation of additional seating and landscaped spaces including new gardens, according to Bellingen Shire Council. Trees will be replanted in place of the Camphor Laurels. A petition, which collected over 1000 signatures, asked the Council to reconsider their decision and explore alternative options. "These trees give Bellingen it's beating heart, they are a part of it's heritage and a calming feature and focal point of the street landscape," said Tammy Mills-Thom, who signed the petition. "Visitors to Bellingen always remember them, and when you go to Bellingen you always want to see them and linger under their welcoming foliage."